The Lupus clouds compose one of the main low-mass star forming complexes within 200 pc of the Sun. 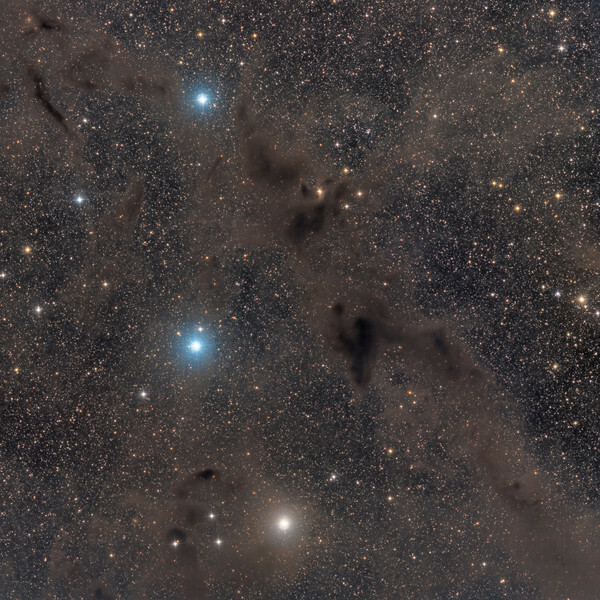 They contain four main star forming sites, including B228 in Barnard’s catalogue pictured above, more frequently referred to as Lupus 1 in modern literature. It is likely that the Sun formed in a similar star formation region more than four billion years ago. B228 is sometime named the Dark Wolf nebula.